Credit card companies are constantly looking for ways to take a customer’s money or gain more customers to rob their money as well. Having a credit card can have great advantages but if you don’t use it right or aren’t aware of the potential dangers, it could do a lot of harm. With the right information, a costumer can get his or her way around the loop holes and tricks that companies throw at them. Lets start with the basics…how does a credit card work? By issuing a credit card, you are lending the company’s money in which you are obligated to pay back at a later date. On top of what you owe back to the credit card issuer, there is an interest rate that must be paid. This is where companies tend to take advantage of their customers; companies raise their interest rates and the customers are put in a trap. Credit card company’s review your credit score to determine your line of credit, your maximum loan balance a customer can obtain. Pay more than the minimum balance- By paying the minimum monthly credit card balance, you are also extending the time in which you have to pay off your balance. If you pay more monthly, you will end up paying your credit card debt off in a shorter time period. With every month that you obtain a certain balance, the credit card company will continue to increase the interest rate. By doing this, you would save an average of 10-29% in interest every year for every card you pay off the balance. Use your credit card less frequently- Have a set budget to determine how much you can afford to pay in credit card balance a month. The more money you spend on your card, the more money you are obligated to pay off. This is where many customers fall behind. 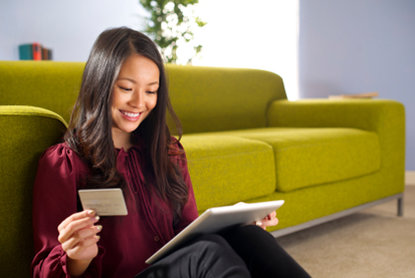 Many families make the mistake of issuing a credit card and using it to pay for almost any purchase or payment. Soon their credit card debt grows so large they can’t pay it off by the end of the month and they are forced to pay interest. It is much easier to pay unnecessary purchases with a debit card or just cash so there is no interest to be paid. In the end, if you use your credit card for too many purchases, you will end up paying more than the actual cost of those items. So be smart and use your credit card for necessary items. Become aware of credit card rewards- A reward card allows a customer to earn points, get cash back, and travel free on their credit card purchases. Reward cards work great for people who are disciplined with paying off their balances on a monthly basis. Usually the rewards on these cards are around 2% or less. Reward card companies may advertise by offering a large amount of points if a costumer spends a specific amount of money in a month. This sounds like a great deal but when you can’t pay the balance off in a month, you get robbed and the amount that must be paid for interest rate surpasses the amount you earn for your bonus. 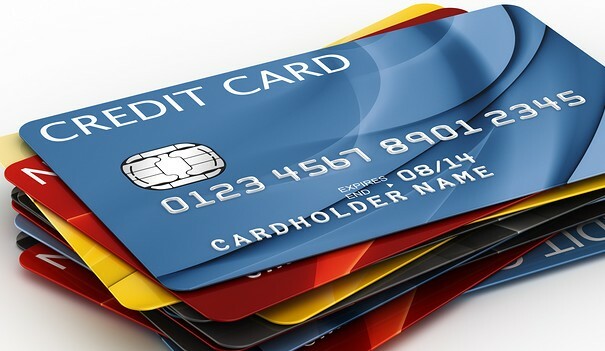 Have a limit on the number of cards you own- There is no need for more than 1 credit card. By owning more than one credit card, you are increasing your temptation to spend, increasing your balance and increase the chance you have of missing each card’s payment deadline. It is harder to keep track of each card’s deadline and often people will miss the deadline and have to pay ridiculous late fees. Don’t use the checks they send in the mail- Many companies will send their customers checks in the mail to encourage customers to spend more money. These are dangerous! These checks are considered cash advances accumulate interest the second you use them and most of the time there is no grace period; nonetheless, interest rates become higher than the interest on your credit card balance. Once this check is used, there is an automatic fee to be paid that usually stands around 2-4% of the amount of the cash advance. On top of that, many companies won’t let consumers pay off their cash advance until after their credit card balance is paid off. Don’t forget about your debt- It is so easy to keep spending and forget about the balance you owe or to ignore the debt your already owe. The more you ignore your debt, the higher the interest rate grows on a daily basis. Making your best efforts to eliminate your credit card debt is important because the more you are in debt, the more debt you are in, the more it negatively affects your credit score. If you are under the circumstance that you are overwhelmed with debt, make a simple phone call to the credit card company ask for a renegotiation over your balance. By renegotiating, you can lower your interest rate, set up another payment plan or have some of your debt forgiven. If one employee says no, keep trying until you are able to negotiate with another employee. In fact, if you keep calling, you can negotiate better deals with different employees. 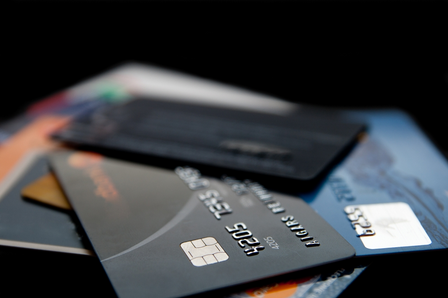 There are several tactics that credit card companies use to trick their consumers. Before you invest in a credit card, first do research on it to be clear on the terms and conditions you would have to abide by. There are many loops holes that people aren’t aware of. Having a credit card can have its great advantages but if you aren’t disciplined, it could work against you.